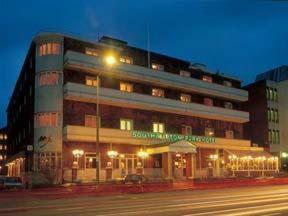 The Southampton Park Hotel has a friendly welcome with a relaxed brasserie restaurant & bar and indoor leisure centre. Part of the Forestdale Hotel Group. The Southampton Park Hotel has a friendly welcome with a relaxed brasserie style restaurant & bar, luxurious indoor Leisure Club, spacious lounges, 3 well-equipped conference suites and 72 individual and comfortable bedrooms. Our hotel is situated in the heart of the city, within easy walking distance of shops, theatre and railway station, and only 5 miles from Southampton International Airport.